CIDP “Tanase V. Iulian” (also trading as Eurosurveillance CI) needs to gather and use certain information about individuals and / or businesses. The GDPR 2018 describes how organisations — including CIDP “Tanase V. Iulian” (also trading as Eurosurveillance CI) — must collect, handle and store personal information. Dealing with requests from individuals to see the data CIDP “Tanase V. Iulian” (also trading as Eurosurveillance CI) holds about them (also called ‘subject access requests’). The law requires CIDP “Tanase V. Iulian” (also trading as Eurosurveillance CI) to take reasonable steps to ensure data is kept accurate and up to date. The more important it is that the personal data is accurate, the greater the effort CIDP “Tanase V. Iulian” (also trading as Eurosurveillance CI) should put into ensuring its accuracy. CIDP “Tanase V. Iulian” (also trading as Eurosurveillance CI) will make it easy for data subjects to update the information CIDP “Tanase V. Iulian” (also trading as Eurosurveillance CI) holds about them. For instance, via the company website. Subject access requests from individuals should be made by email, addressed to the data controller / data processor at office@eurosurveillance.ro . The data controller may supply a standard request form, although individuals do not have to use this. The data controller / data processor will always verify the identity of anyone making a subject access request before handing over any information. 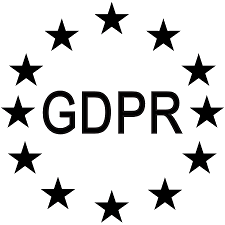 In certain circumstances, the GDPR 2018 allows personal data to be disclosed to law enforcement agencies without the consent of the data subject. Under these circumstances, CIDP “Tanase V. Iulian” (also trading as Eurosurveillance CI) will disclose requested data. However, the data controller willrequested data. However, the data controller will ensure the request is legitimate, seeking assistance from a legal adviser where necessary. Ethics – We always conduct our own services honestly and honorably, and expect our clients and suppliers to do the same. Our advice, strategic assistance and the methods imparted through our training, take proper account of ethical considerations, together with the protection and enhancement of the moral position of our clients and suppliers. If there appears to be a conflict between our Code of Conduct and the law, we always obey the law. But, if our COC sets a higher standard than the law requires, we understand that it must be the standard for behavior. Conflict of interest – Due to the sensitive nature of our particular consultancy services, we will not provide a service to a direct competitor of a client, and we generally try to avoid any dealings with competitor companies even after the cessation of services to a client. We always endeavor to make our research and work as legally-proof as possible. We never undertake anything even remotely linked to what it may appear to be a non-legit project and in any case, we do not engage in downright illegal operations of an kind, shape or form these may be. We are always striving to observe the legality of our work; we do not put our clients at risk due to non legit reports sent to client for which he will have to answer to a court of law for the legality of it all. If you have any questions regarding this document, or any queries at all regarding our policies of privacy and compliance, do not hesitate to contact us.